Soft and thick artisan made pure wool felts in lovely, heathery colors. This soft, thick wool felt is made by hand, no two pieces are exactly the same. This all wool felt is wonderful for wet and needle felting, as well as many craft and sewing projects. Color note: hand dyed felts will vary in color and thickness, part of the beauty of an artisan product. 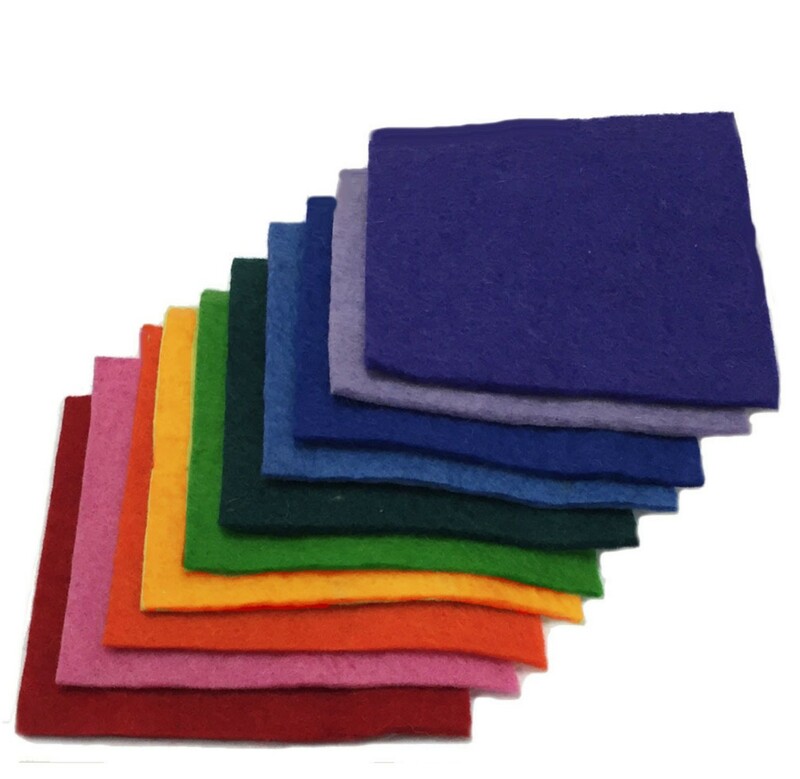 Small pieces of most all our hand made felt colors, ranging from just a few inches square to slightly larger. Wonderful for small projects, equivalent weight is around three 12 inch sheets. Quantity limited! Ten approximately 6" x6" squares of thick, handmade artisan felt in bright colors.